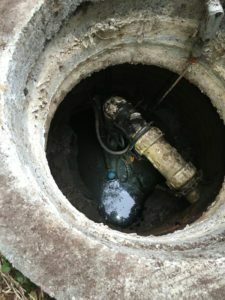 Do you need a new septic system installed in your recently constructed property that is not connected to the city sewers? 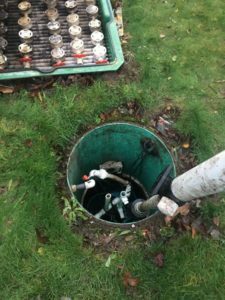 Are you fed up with repeated septic problems and think that it is time to replace the septic system on a commercial property? 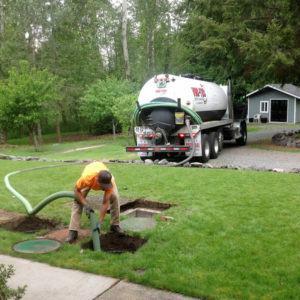 Have you made some home additions on your South Hill, WA property and want to upgrade to a bigger, new septic system? We can help. Installation of a new septic system is a major decision and a significant investment. It is important to have sincere, knowledgeable and experienced professionals like us handling the job. Besides installation of complete septic systems, we can also be hired for the installation of different septic system parts. Give us a call if you need septic tank installation services in South Hill. The septic tank is one of the key components of a septic system. It is the reservoir that collects all the waste generated on a property and then releases wastewater into the drain field. Improper septic tank installation can result in a mess and create stress from frequent sewage backups. Hire us for septic tank installation to avoid such hassles. The septic tank also must be cleaned out periodically to remove the solid waste that stays behind. We handle that too! The wide-ranging septic services offered by our septic company include handling repair and replacement jobs. Turn to us if you are looking for proven pros to repair septic system drain fields, replace a septic system pump or do any other work to restore the proper functioning of your waste disposal system. Of course, we can replace septic systems in their entirety as well. Call VAC-TEC LLC at (253) 777-4887 for septic services including septic tank installation in your South Hill property.